Carlos Castaneda (sometimes misspelled Casteneda) first brought the Toltec knowledge of nagualism out of secrecy in the late 1960s and ‘ 70s. Starting with The Teachings of Don Juan in 1968, Castaneda wrote extensively, twelve books in all. A central theme in Castaneda’s books is his apprenticeship with the nagual (master) don Juan Matus, a Yaqui Indian. One of the best books describing Carlo’s journey is Journey To Ixtlan. You can find more of Castaneda’s books here. There is much heated debate on the legitimacy of Castaneda’s writings. He is, after all, an excellent storyteller with a wonderful sense of humor. In addition to their entertainment value, however, there is much knowledge that can be gleamed from his books. The approach to his books is the same approach the Toltec practitioner adopts towards all of life. A Toltec is pragmatic, taking what works for he or she, and leaving the remainder. A Toltec takes nothing at face value. As the nagual don Miguel Ruiz was fond of saying, “Don’t believe anyone. Don’t believe me. Don’t believe yourself.” The same applies when reading Carlos Castaneda’s books. As you progress on your path you will develop a keen sense of perceiving energy. All things come from energy first, and through sensing the energy behind the words you will come into deep knowingness. Whether it was Castaneda’s conscious intention or not, there is much knowledge hidden in the energy behind his written words. 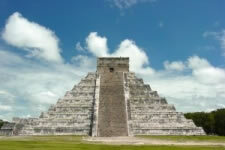 Castaneda’s mission was to bring Toltec teachings out of hiding. Don Juan Matus knew this and did whatever it took to impart the knowledge to Carlos. Toltec teachings are not meant to be a belief system. Believing what you read is not a requirement, and in fact taking what is written at face value will make it impossible to come into knowingness. If you choose, you may wish to apply the tools and knowledge that is given. If there is legitimacy in Carlo’s writings, this is the only way you will know and have a chance to benefit. Only through practical application can the true knowledge behind the words be unveiled. I feel that Carlos Castaneda’s contribution is beyond measure, at least to those of us who understand the knowledge he brought forth. the article was great! why don’t you have more on “dreaming?” in any event I vastly enjoy your website.